It's epic, it's heart wrenching, it's an end of an era, enter other cliché here: __________________________. It is, after all, the last flight of space shuttle Atlantis and the last flight of any space shuttle. Ever. If you're reading this over the weekend chances are you missed it, but that's OK because thanks to modern technology accelerated by the space program (CCD cameras and computers) you will be able to watch it easily on YouTube or NASA TV. Missing it means you don't really care that much about the U.S. government space program, possibly because you don't care for space in general. It is, after all, the final frontier and you (or the United States or the world) have a lot to get through before that becomes a priority. Alternatively you may be very busy helping usher the Commercial-Space era once the Space-Shuttle era comes to an end on July 8 (a much better proposition than the Soyuz era or the Russian-Space-Capitalism era or Who's-Laughing-Now-And-Who's-Paying-56-Million-Dollars-Per-Seat era). Either way, unless you've been closely following manned spaceflight events in the recent couple of years, you might have missed the little tidbit that this is actually the second last flight of Atlantis. 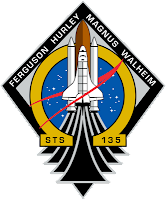 In May 2010, STS-132 was the final planned flight for Atlantis and it was supposed to be prepped for launch only as a rescue vehicle for STS-134. Like a mother refusing to accept her son is moving out for good, asking for one more hug and kiss, NASA turned STS-335 (3xx denoting potential rescue missions) into STS-135, with the potential rescue of this mission being multiple Soyuz rockets (which as of the impending launch of Atlantis will be the only game in town for hauling humans to the International Space Station for at least a few years). As an attendee of the NASA Tweetup for STS-132 I received a Reporter's Space Flight Notepad, courtesy of Boeing. It is a great tool for reporters who generally don't have time to look up information about the vehicle, rockets, thrust, payload or how to spell names of people. The last printed page of that notebook lists the final flights of the three remaining space shuttles, with STS-133 and STS-134 both planned for 2010. Still being rocket science (as the corny expression goes), the year after the first last flight of Atlantis unfolded quite differently, with an astronaut falling off his bicycle and cracks that necessitated a roll-back into the VAB of Discovery. 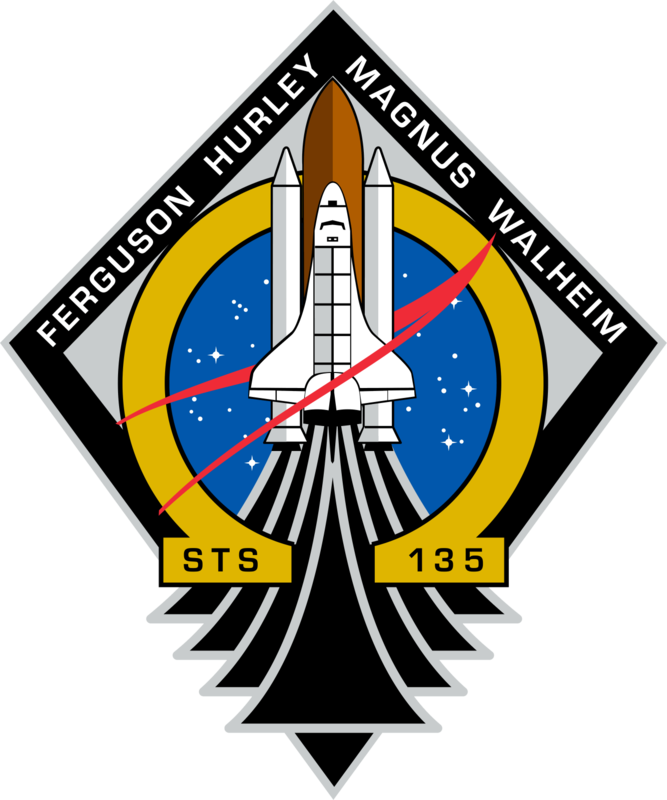 Both STS-133 and STS-134 ended up flying in 2011 with Atlantis leaping its younger and older sisters and closing this era. Atlantis will also be making the shortest route of all three to its final resting place at Kennedy Space Center. And so, in about two weeks, the space shuttle era will end about 30 years after it started with STS-1, Columbia, John Young and Bob Crippen. I watched with child-like enthusiasm and goose bumps as the shuttle launched for the final time and witnessed the end of an era. I thank you for our chance meeting in the Denver airport and for the picture of the clock you sent to me. Copies made and given to our 8 year old grandson who witnessed the launch also in May,2010. Good luck my friend and stay in touch. Great hearing from you Mike. Were you there for this launch as well or did you watch like me on NASA TV? E-mail me please, I don't have your address. I was fortunate enough to be able to take some time off work and fly out to Florida to see the launch - it was my first shuttle launch viewing experience. sad that it is also my last, as it was a very moving experience. Hopefully we'll be watching Commercial launchers blast Americans into space before long!